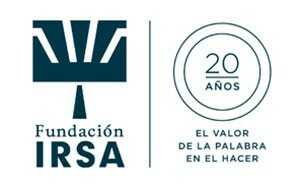 IRSA Foundation offers scholarships for Universidad Austral’s B.A. in Nursing programs. The purpose of this program is to train professionals, preparing them to provide overall, safe care to people, families and communities, exercising autonomy, leadership and social commitment at all care levels and realms. As a result nurses become valuable members of healthcare teams. Program graduates will be able to base their professional practice on scientific, humanistic, ethical and legal knowledge, respecting individuals’ dignity from conception to natural death. They will be able to rise to professional challenges with critical, reflective thinking, taking into account scientific and technological developments. This program also intends to encourage future nursing professionals to seek the truth as well as to update and further their specific field knowledge to enhance their personal and professional growth in order to guarantee care quality and cross-discipline collaboration. To contribute to increasing the number of professional nurses in Argentina, starting this year, IRSA Foundation has pledged to grant scholarships for this program at Universidad Austral, among other institutions. This decision stems from a new approach adopted by this Foundation, called “Human Well-Being” and established in 2014. This approach encompasses three intervention areas: research, infrastructure and equipment, and professional training. “As nursing professionals account for the largest share of the world’s healthcare labor force, their training quality bears a direct impact on a country’s health service system quality. IRSA Foundation’s decision to support nursing professionals’ training at our University provides a great boost to Argentina’s healthcare system improvement. We are very happy and excited with these new scholarships, which will enable more youths to choose this program at our school,” noted Dolores Latugaye, head of Universidad Austral’s Nursing School. The scholarships offered by IRSA Foundation cover 50% of tuition costs for Universidad Austral’s entire Nursing B.A. Program. To apply for a scholarship, applicants must fill out the financial aid application form and submit the documents listed on it before the deadline established. After the application period has ended, applicants’ will be ranked according to their financial needs and their grades at the program’s admission course.